Ash Trees is a primary aged special academy based in Billingham and serving the Stockton area. We currently have around 150 pupils who experience severe learning difficulties which includes profound and complex medical needs and young people with autism. 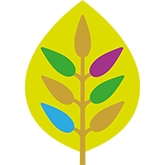 Ash Trees academy is part of the Ascent Academies’ Trust, a small but growing partenership of special schools whose purpose is to provide outstanding education and support for children with special needs.